MILO− There is no more heroic nor impressive incident connected with the early history of Milo than the building of the town’s first church by William Owen, who was one of the town’s earlier settlers. Church building is generally a cooperative affair. All sorts of devices are employed for raising the requisite funds and in cases of the smaller and poorer communities, assistance of wealthier church organizations is commonly sought and secured. Nothing of this kind preceded the erection of Milo’s first meeting house. There were no circles, no fairs, no solicitations either at home or abroad, Mr. Owen had no assistance of this sort, he simply went ahead and built his church, which he saw the community so greatly needed, and he took a chance on being reimbursed in part or in whole by what his fellow citizens would do after the structure had been erected. In 1850, thirty years after Maine had been made a state and 27 years after the town’s incorporation, Milo was a town of nearly a thousand inhabitants and many of the present inhabitants can recollect when it was no larger. But it had no church in 1850 and there was no present prospect of one. A majority of the citizens realized the need of a place of worship, but they could arrive at no concrete plan for getting busy and building one. Many meetings were held and the question discussed, but that was the end. The lot on the hill which had been reserved as a church site when the town was incorporated, was a village common and no more. There in a chamber of the little house which still stands on the hill, not far from the church site, was born the project that culminated in the new town acquiring it’s first and for many years, it’s only place of worship. Mr. Owen was a tanner by trade and at one time he operated a small bark tannery on the island near the river. The later years of his life he engaged in farming in a small way. But until his age prevented him, the church that he had built was the object of his special care. He opened it mornings, built the fires in winter, and rang the bell. The exterior was little changed for many years from that manner in which Mr. Owen had left it when he completed the work which he believed it was his duty to his Creator to do. 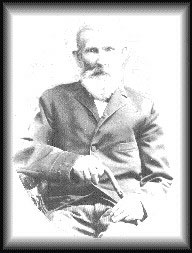 Mr. Owen’s son, William H., was a soldier of the Civil War and Milo’s first druggist. A daughter was Mrs. Henrietta Ramsdell, who died a few years ago, and a surviving daughter is Mrs. Stubbs of Foxcroft. Five grandchildren, William S., Charles E., and Mrs. Bert L. Gould of Milo and Ferd K. Owen and Mrs. Lona A. Hunkins of Portland are still alive. Abigail (Abbie) married W. T. Stubbs. They had one child: Helen who died young, unmarried. Mr. Stubbs gave the organ in the United Baptist Church in memory of his wife and daughter. William Henry Owen started a Drug Store in 1869 in Milo.